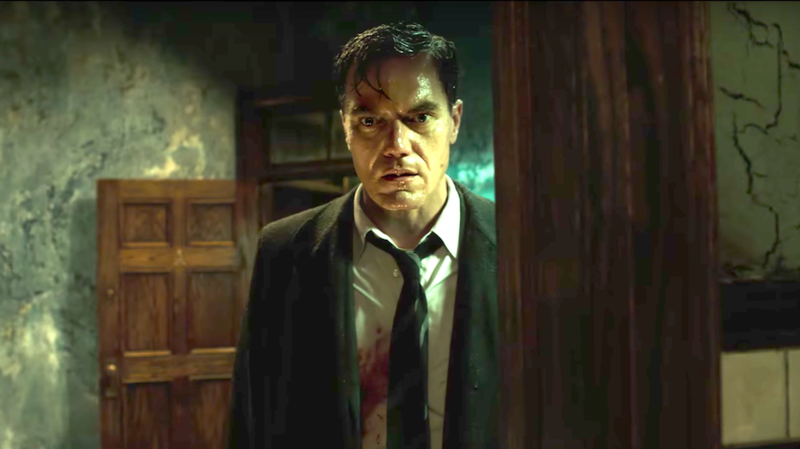 While Sergi Lopez was the tyrannical military officer, Captain Vidal, in Pan’s Labryinth; here, Michael Shannon is the ruthless antagonist where evil resides. The glowing embers of humanity and beauty are instilled into the invisible presences. The ones who are so often overlooked, miscast and derided of opportunity. Del Toro give voices to the voiceless. The mute and African American cleaners, the homosexual artist, a scientist unable to even use his real name of fear and the ‘asset’ itself. The empowerment of the ‘bottom’ rung is a powerful message that is culturally on point. The prized amphibious creature is held captive in a secret government facility. It is at unwillingly at the centre of a tussle between the USA and Soviet Union in a time of war. As they try to mobilise it as a military weapon, it’s clear that the ‘asset’ never poses any real threat to anyone but is subjected to torture and ridicule by the senseless military rule of Strickland. A man intent on retaining control in all aspects of his life from his family life in leafy suburbia, his sexual fetishes and using his cattle prod at work. Shannon oozes menace and is superb as the villain hell bent on ‘delivering’. While Shannon is the aggressor, Sally Hawkins is quietly brilliant as Elisa, the mute night cleaner of the facility who establishes a natural and instinctive relationship with the creature. She begins feeding it boiled eggs, serenading with jazz music and even learns to find a method of communication. It’s an unlikely romance that flourishes in secrecy. When Elisa learns of his impending demise, a dramatic escape plan is drawn up with help of Giles (the brilliantly witty Richard Jenkins) and fellow cleaner Zelda (Octavia Spencer). It’s perhaps the physical aspect of the relation that raises an eyebrow and will gross out some. Elisa feels constantly judged and ‘incomplete’, the purity of their unspoken relationship and removal of social norms is what liberates. Hawkins’ performance is remarkable. Her body language and facial expressions speak volumes in a lyrical career’s best turn. 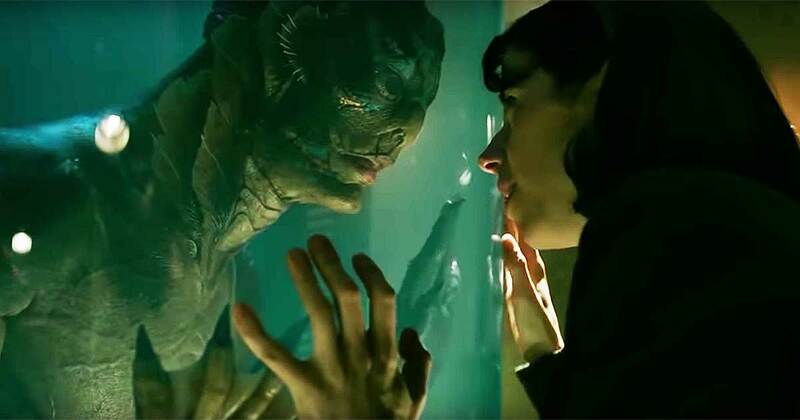 The Shape of Water is a stunning visual achievement. 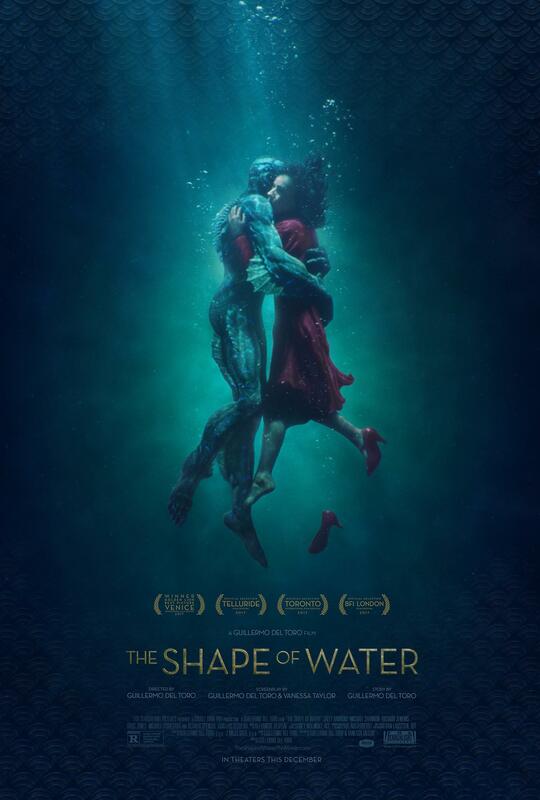 The deep shades of green flow through the films outstanding production design and mark the underwater sequences which are overwhelmingly beautiful. It’s one of Del Toro’s most accessible works. Is it his best? It certainly triggers that question. While it didn’t have the same searing impact as his darker works in Pan’s Labryinth and Devils Backbone, there’s no denying its beauty.